Brief: Demolition and reconstruction of 2 residential blocks of 51 flats, and refurbishment of 3 further residential blocks of 37 flats. The residential development known as Solomon’s Passage was completed in 2012 and comprises 85 units within 4 multi-storey timber framed blocks in Peckham Rye, Southwark London. The development is owned by Wandle Housing Association has a series of significant issues from the time of its original construction. Wandle’s brief was to provide a solution or series of solutions to overcome serious building defects that had arisen over the 5 years since completion and had been identified by a team of experts. The significant issues include: fire stopping, water penetration with damage to the structural timber frame and M&E service failures. These issues interact with one another, adding a degree of complexity in understanding the cause and specifying the correct remedy. ECD are part of a large multi-disciplinary team led by Keegans providing comprehensive services on both the new build and refurbishment projects. 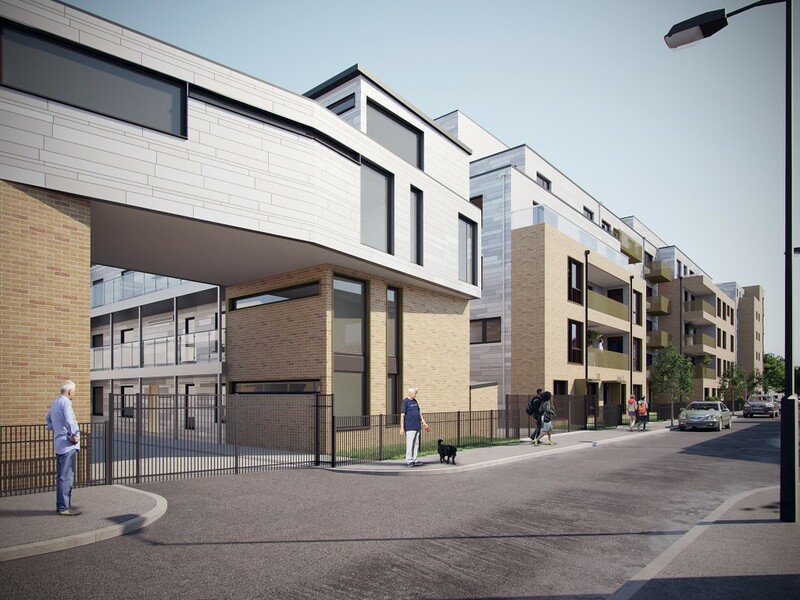 Our team and was initially appointed to undertake an options appraisal to assist Wandle in determining if the buildings could be saved or if the redevelopment of the whole site would be more appropriate given the significant building issues involved. The initial intention was to refurbish all blocks, however, two blocks totalling 47 units were deemed unfeasible to refurbish and ECD therefore provided Architectural design services for the new building design. Our current proposal is to part demolish and part rebuild. The existing buildings were designed before the existence of the London Housing Design Guide standards (LHDG) and energy targets had also changed since completion. This meant that any new proposal that replaced the existing units would have increased floor to ceiling heights and larger units to comply with LHDG. This has impacted on the available space to reprovide homes on Solomon’s Passage when set against the other constraints such as sunlight and daylight to surrounding neighbours. 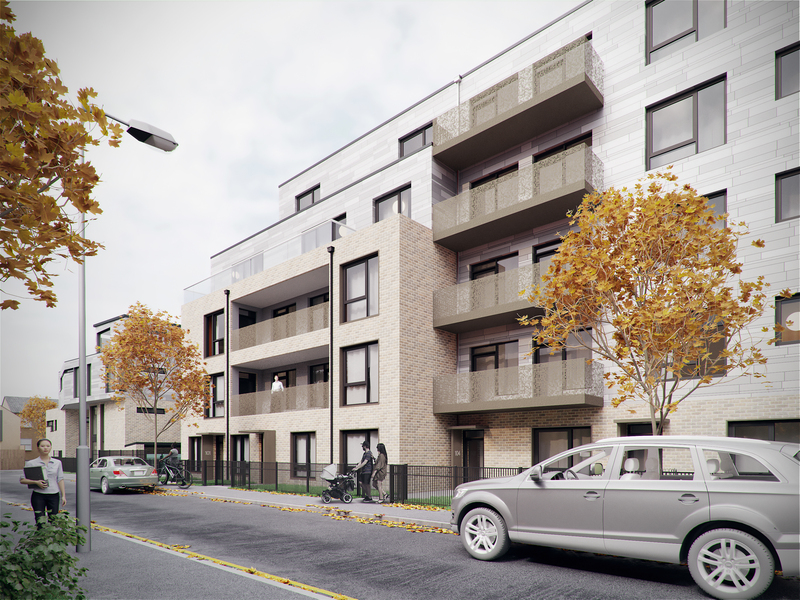 Given all the complexities Wandle and, Keegans and ECD will be targeting Passivhaus and engaging in a BIM level 2 process to raise the quality of sustainability, construction and asset information.